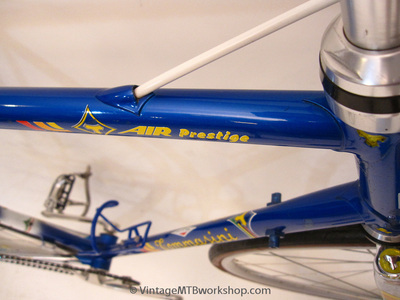 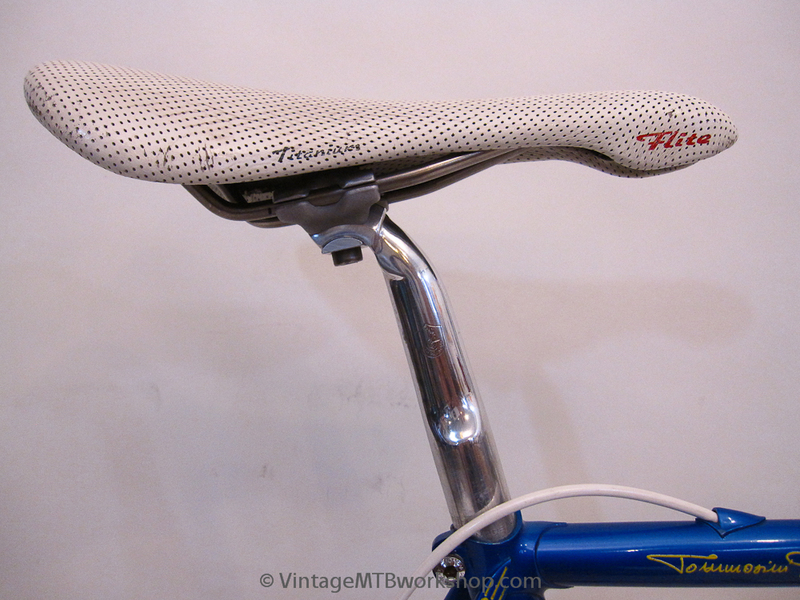 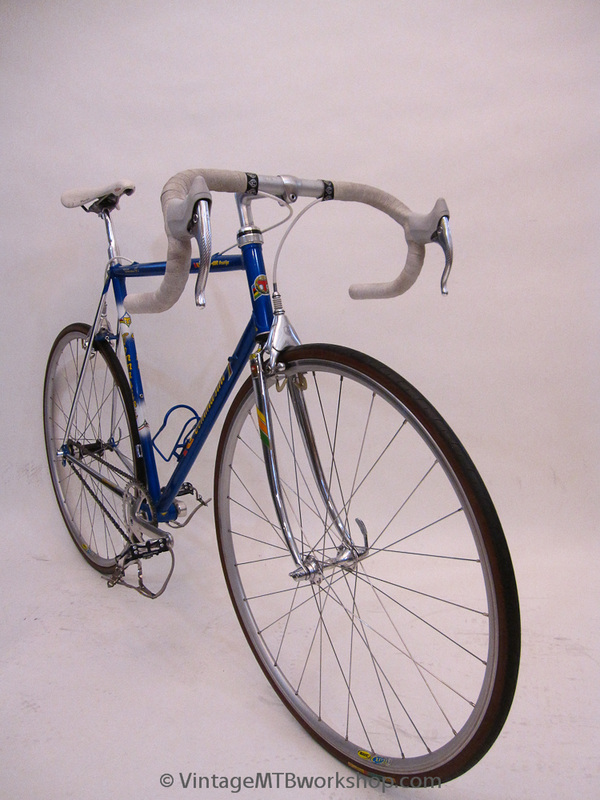 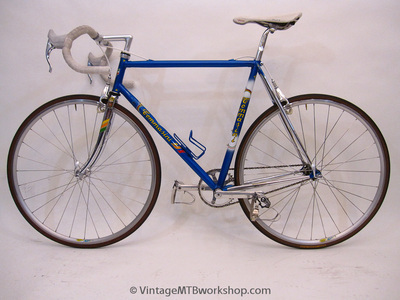 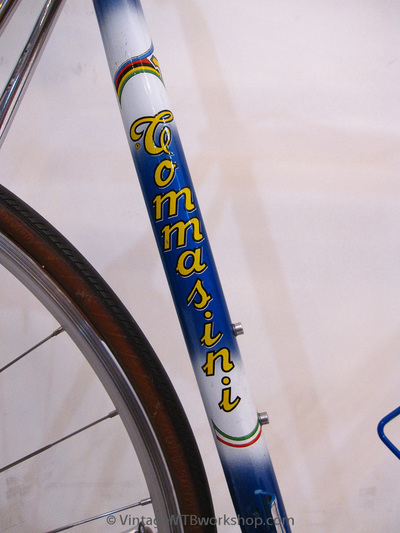 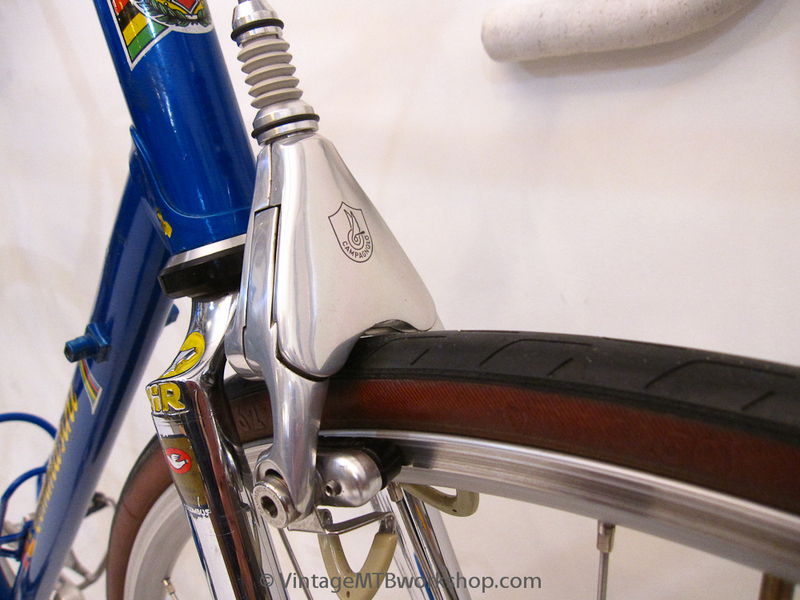 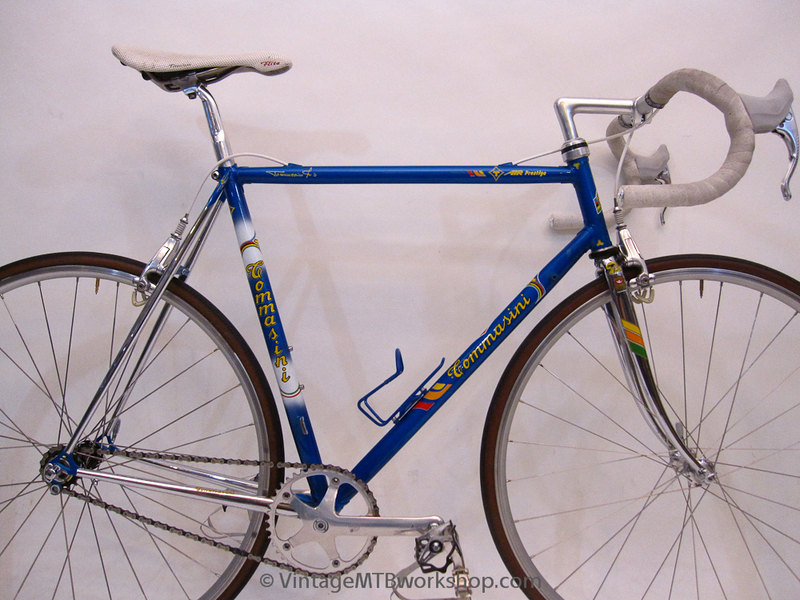 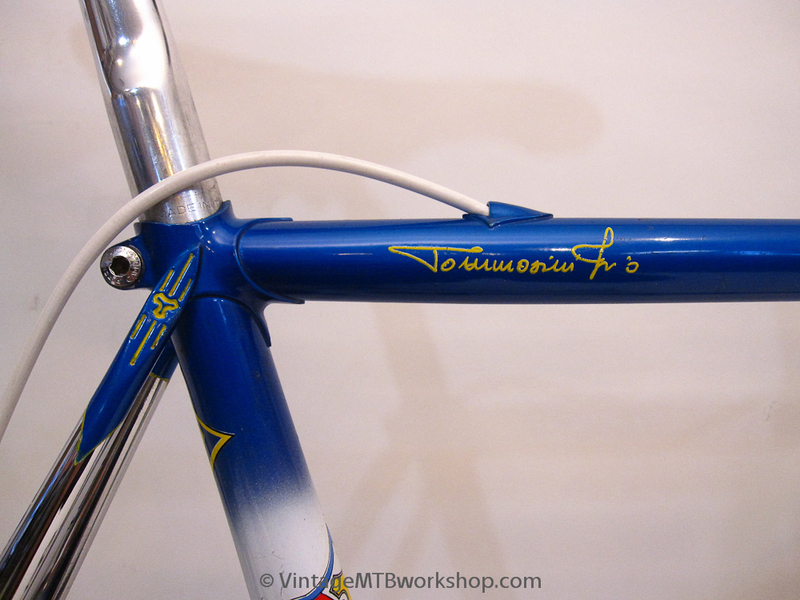 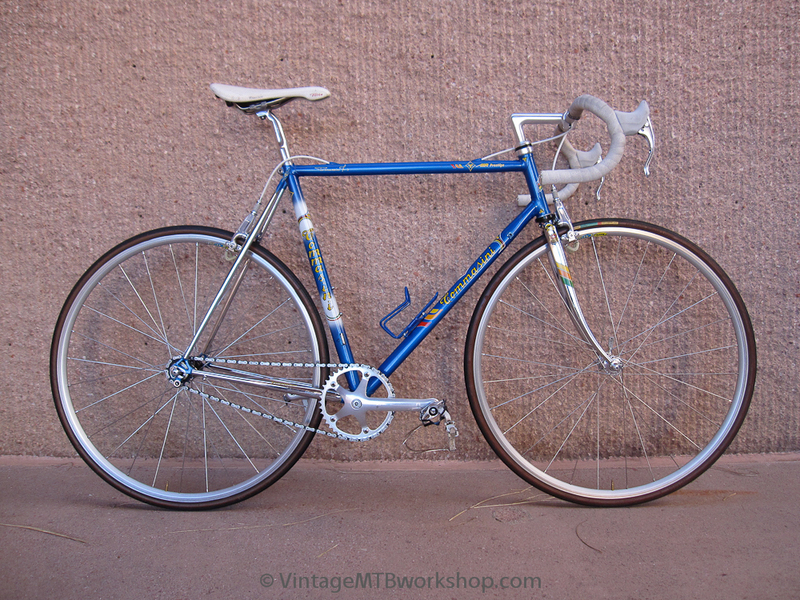 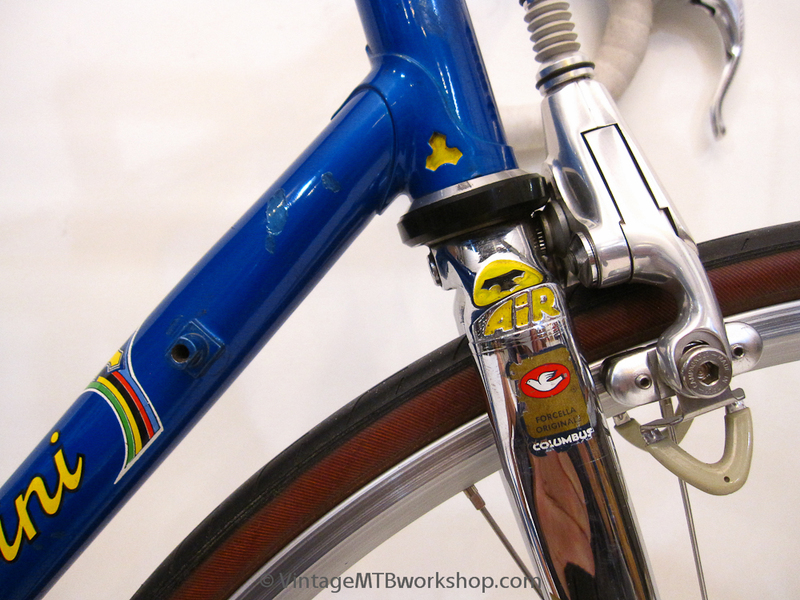 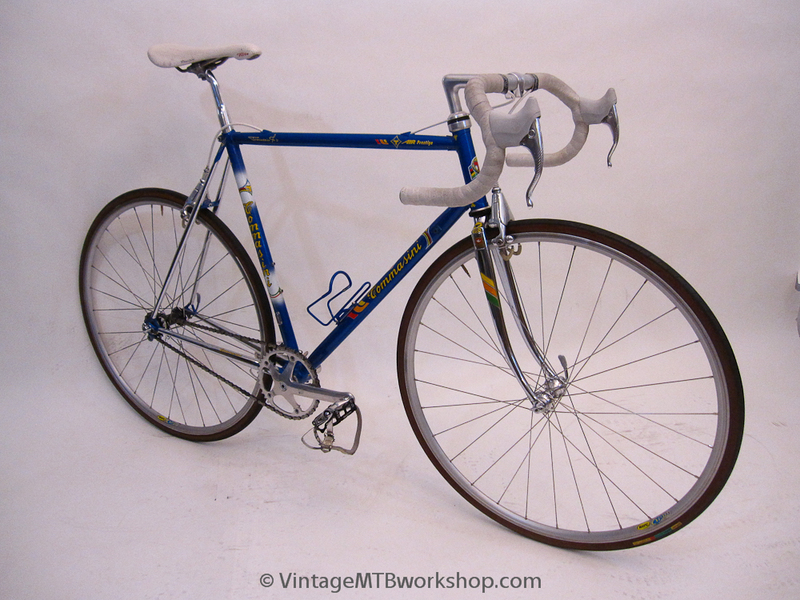 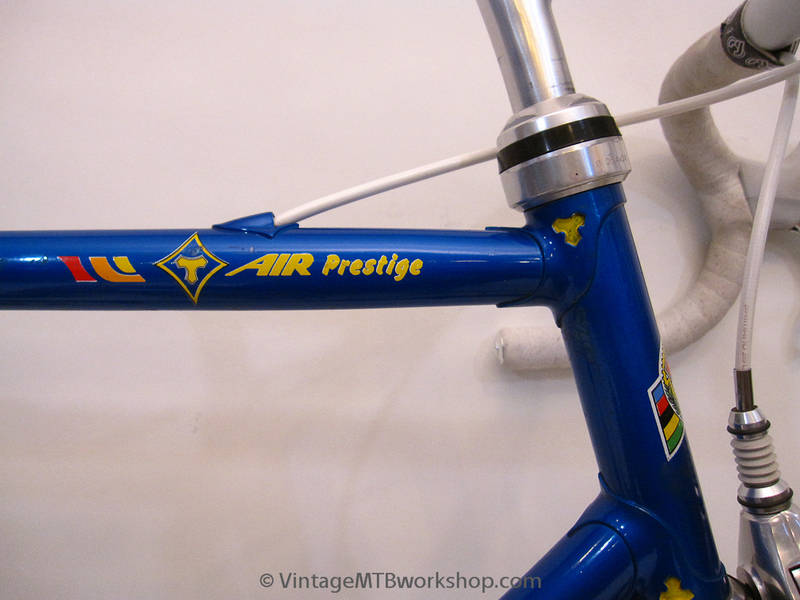 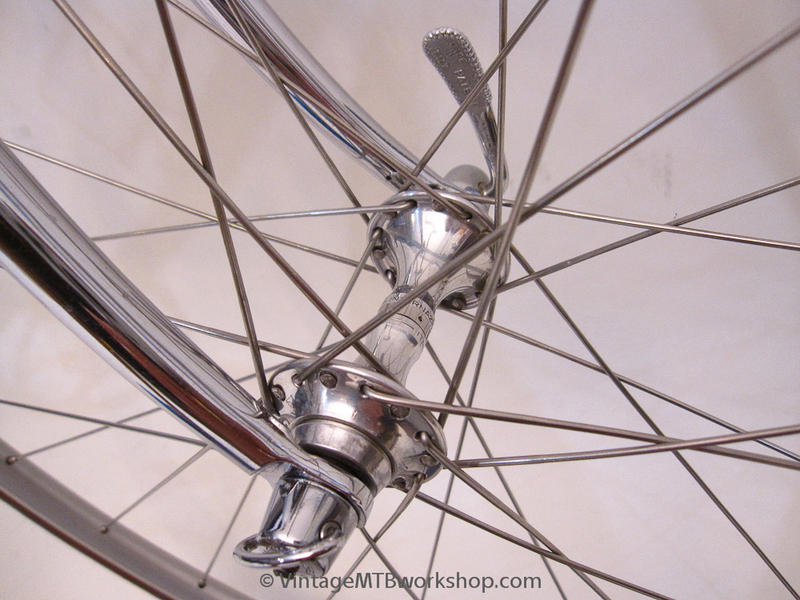 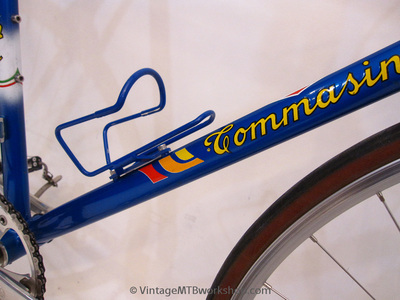 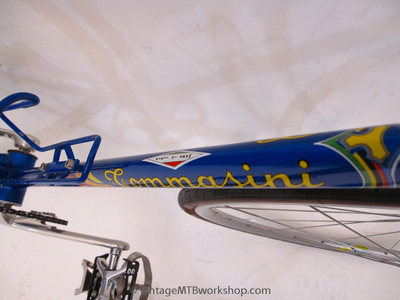 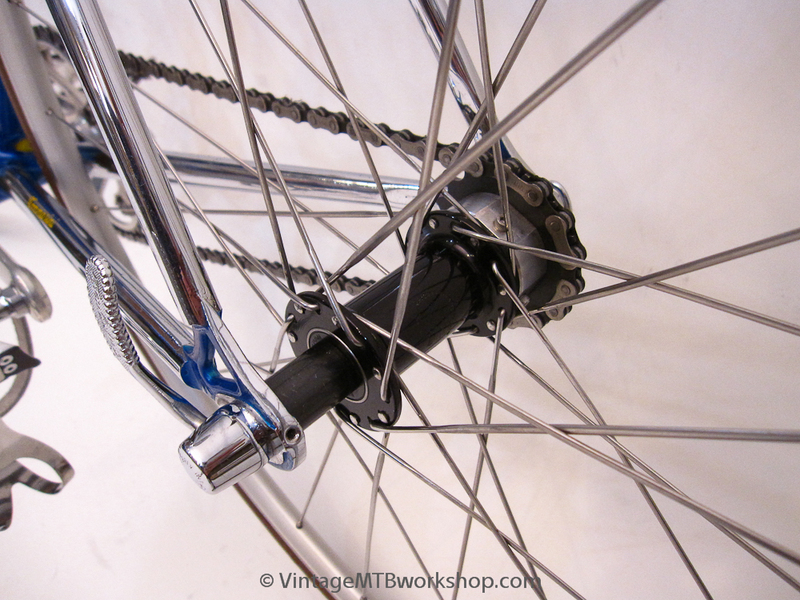 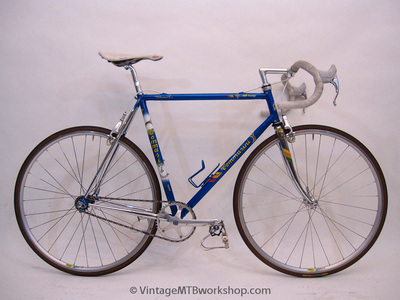 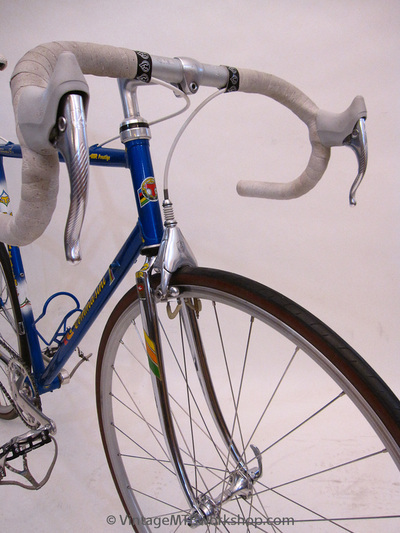 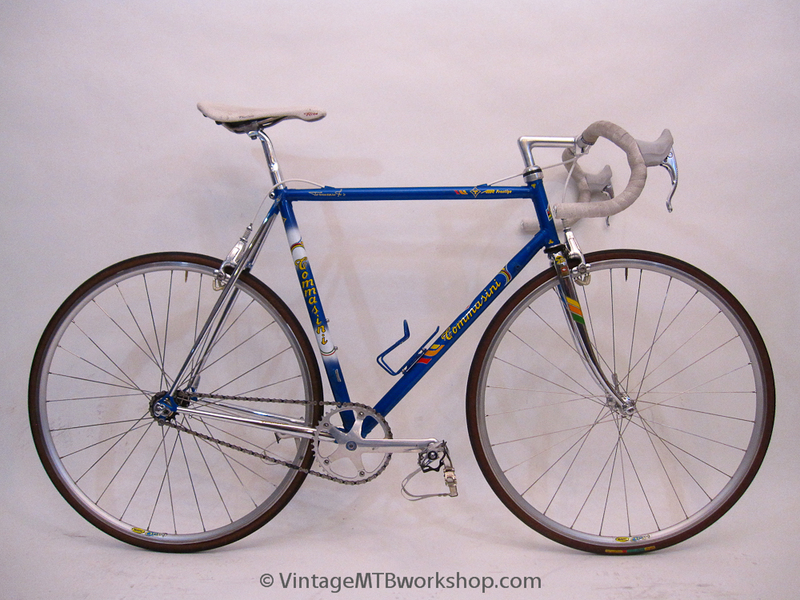 This classic Italian bicycle from Irio Tommasini is unique in that it uses aero-shaped tubing throughout and internal routing for the rear brake cable. 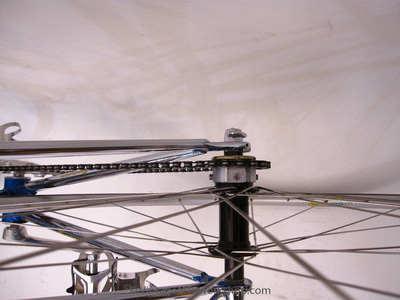 While the lugs accept round tubing, the midsection of each tube has a tear-drop or flattened shape. 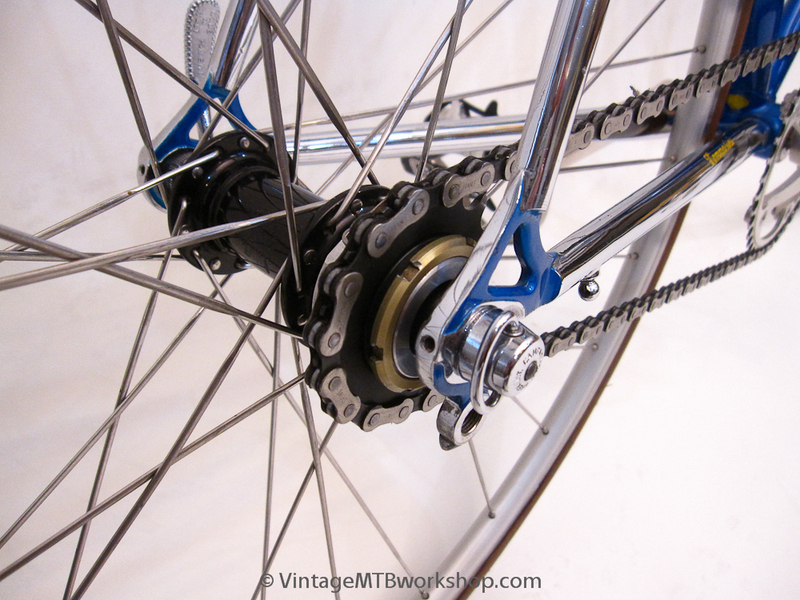 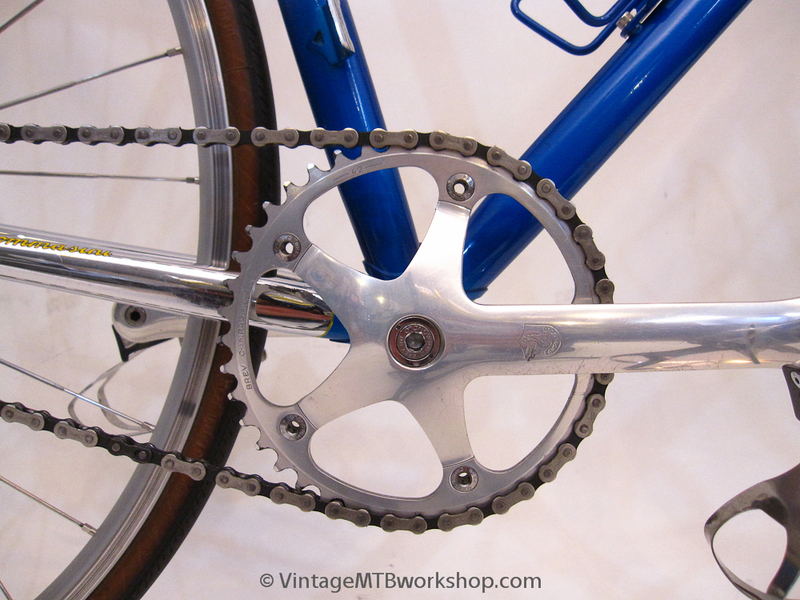 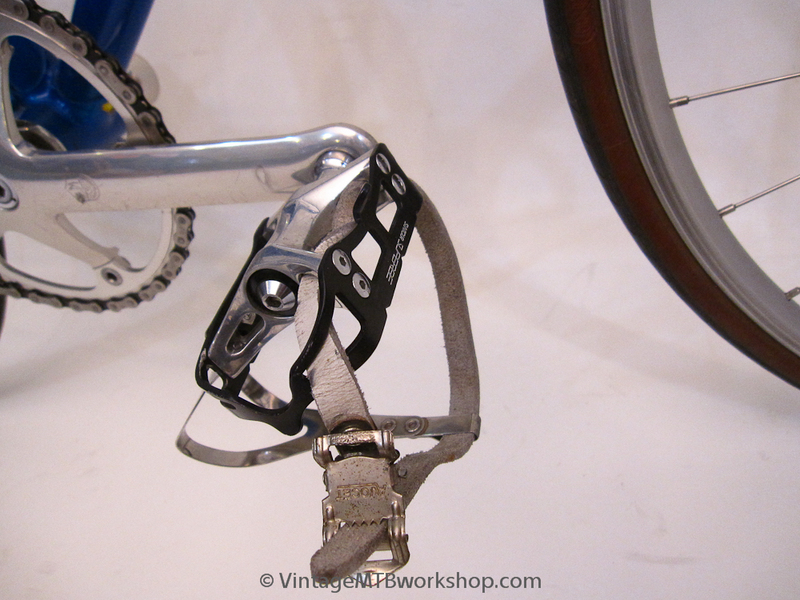 This frame was rescued from going to the recycling bin, and has been built up into a fixed-gear with Campagnolo C-Record parts.